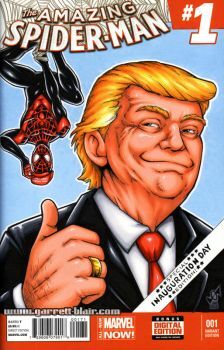 Political Power Donald Trump: The Graphic Novel, will be in stores and available digitally Wednesday, January 18. It the latest addition to the successful line of TidalWave’s biography titles. 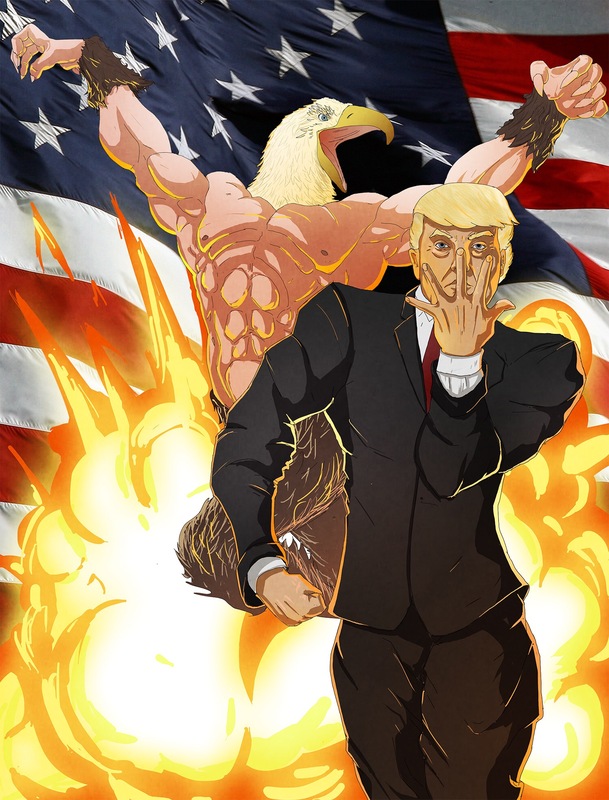 The graphic novel is released in conjunction of the Inauguration of the 45th President of the United States, Donald Trump. Billionaire. Hotelier. Part-Owner of the Miss USA pageant. Author. Philanthropist. Reality television star. Consumer brand. President of the United States. 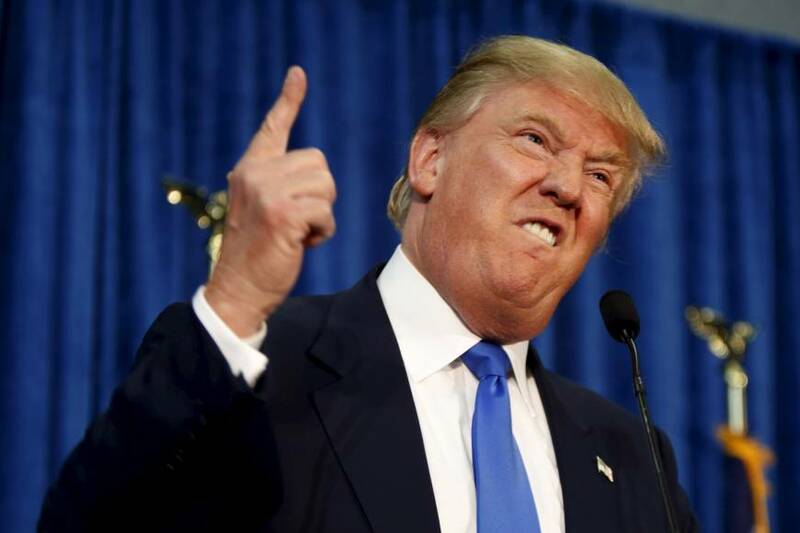 Amidst the chaos of 2016’s crowded field of hopeful Republicans, American businessman Donald J. Trump declared his candidacy for the presidency of the United States. One by one, his opponents fell to the will of voters who see Trump as the savior of a country where the American dream seems broken and unattainable. On the heels of one of the most divisive elections in modern history, will his vaunted ego cause one of the most influential men in America to save a country, or destroy it? This 60-page volume features pin-ups from TidalWave artists and chronicles the ascension of Trump from his youth, when his family instilled in him ambition and energy and how he combined that with skill and drive to earn build a real estate and media empire. The 60-page collectible graphic novel is written by Michael Frizell and Jerome Maida, featuring art by Nathan Webb and Amer Moghrabi with cover by famed DC Comics artist Joe Philips. “TidalWave has two mandates for their profiles of political figure. The first is to keep it fair. The second is to consider the audience. Who would read a book about President-elect Trump? Likely his fans would be more apt to pick it up, so presenting a biased point of view would not be appropriate especially since schools are picking these books up too,” said Frizell. Since, 2008, Bluewater’s publishing line has been addressing current events and releasing entertaining biographies of the men and women vying to become America’s next leaders, a fact which makes publisher and President Darren G. Davis proud. Over sixty subjects have been created in comic book form from TidalWave, such as Hillary Clinton, Barack Obama, Ronald Reagan and Condoleezza Rice. Upcoming subjects are Michael Pence, Elizabeth Warren and Alexander Hamilton. 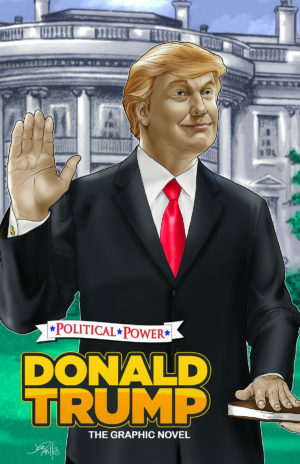 Political Power Donald Trump: The Graphic Novel is available for your e-reader from iTunes, Kindle, Nook, ComiXology, DriveThru Comics, Google Play, My Digital Comics, Powfolio, Overdrive, Iverse, Biblioboard, Flipkart, ComicBin, Axis360, Blio, Entitle, Comicblender, Kobo and wherever eBooks are sold. Espero que salga Spiderman rindiendole pleitesía. Este post pide un link a gritos. He buscado en mi sitio y yo tampoco, además salió hace 3 dias, y ahora ya no escanean solo ripean los que sale en comixology. Y si les pides el cómics a veces solo por fastidiar lo retrasan más, además tambien hay un determinado grupo con tacticas tiranicas en esto. Asi que habrá que esperar. Quedamos a la espera de tus noticias sopa. Lo que faltaba por ver. Dejad de poner mierda en este post, que cada vez que veo una nueva respuesta pienso que alguien tiene un link.